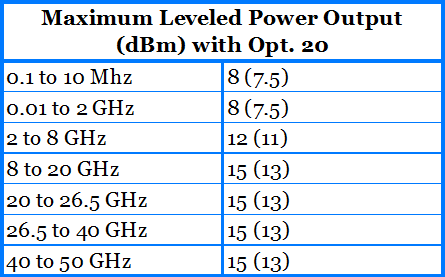 The 2550B Microwave Signal Generator is a high-performance CW and swept frequency signal source covering the frequency range of 100 kHz to 2 GHz, with high signal purity, high output power, fast frequency switching speed and a full suite of analog modulation capability. 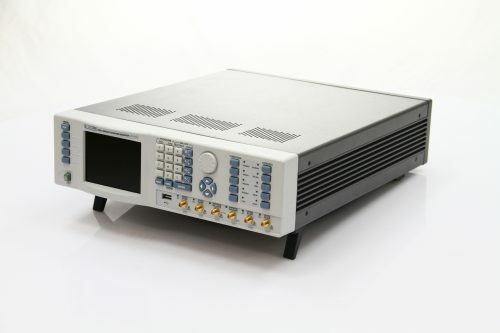 The 2550B Microwave Signal Generator features high time base stability, frequency resolution of 0.001 Hz and ultra-low phase noise, harmonics and spurious for applications requiring clean pure signals. 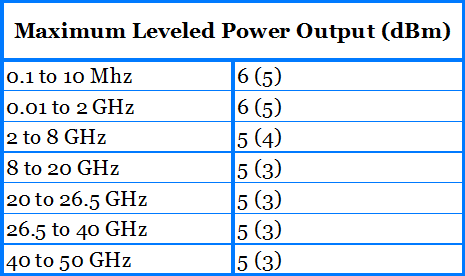 Modulation capability includes amplitude modulation (AM), frequency modulation (FM), phase modulation and high-speed pulse modulation (PM) with pulse width as low as 10 ns. 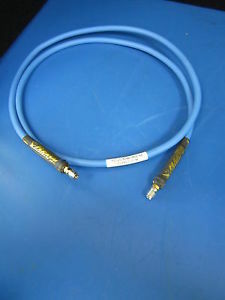 Remote programming capability is over GPIB (IEEE-488) or Ethernet LAN. 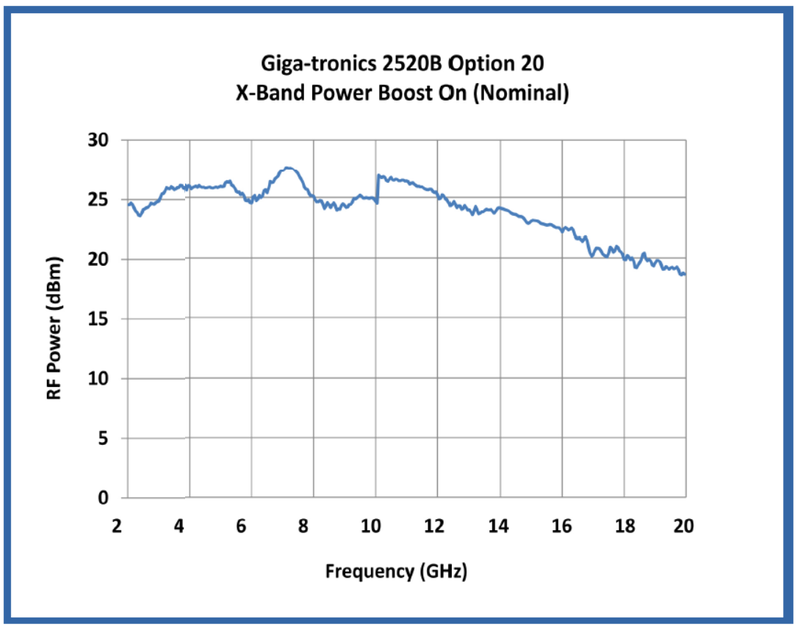 The 2500B series Microwave Signal Generator utilizes new Advanced Synthesizer Technology that delivers excellent close in phase noise performance of -77dBc @ 100 Hz and -96dBc @ 1KHz and an ultra low phase noise performance of -109 dBc @ 10 kHz and 100 kHz offset on a 10 GHz carrier frequency. 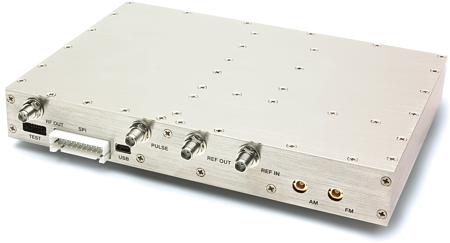 Every 2500B Microwave Signal Generator comes with Giga-tronics Automation Xpress, a PC based software package designed for enhanced user interface and automatic test systems. The Automation Xpress CD includes a full-featured plug-and-play driver and soft front panels to provide the ATE system integrator with everything needed to get up and running fast. A comprehensive LIST mode, Command-Line interpreter with script and loop capability, and GPIB traffic monitoring are just a few of the many features a test system programmer will appreciate when developing and debugging Test Program Sets. 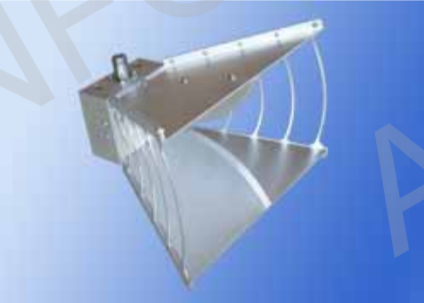 For power level accuracy performances with mechanical or electronic step attenuator, contact us.